With the exception of some scabrous guitar noise early in “No Safe Haven”, these two lengthy tracks are nothing more than bare riffs, tortured vocals and crushing drums. There are subtle changes in tempo but the pace still never gets above an inevitable, funereal crawl. Imagine Primitive Man minus the bursts of power violence, stripped of all hope and you won’t be disappointed. 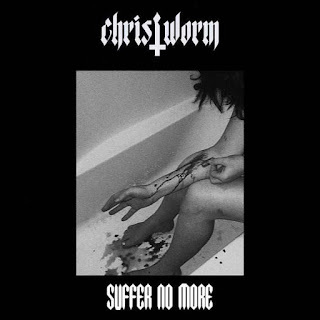 Baton Rouge duo Christworm keep things simple, stripped-back and brutal on new release “Suffer No More”. 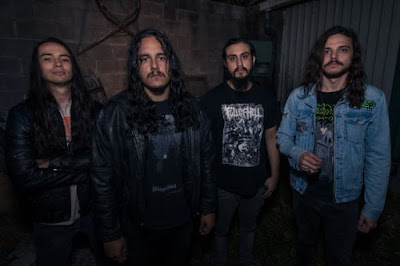 With the exception of some scabrous guitar noise early in “No Safe Haven”, these two lengthy tracks are nothing more than bare riffs, tortured vocals and crushing drums. There are subtle changes in tempo but the pace still never gets above an inevitable, funereal crawl. Imagine Primitive Man minus the bursts of power violence, stripped of all hope and you won’t be disappointed. The band maintain a bleak atmosphere throughout, the sound and lyrics in keeping with the harrowing depiction of self-harm on the cover of this release. 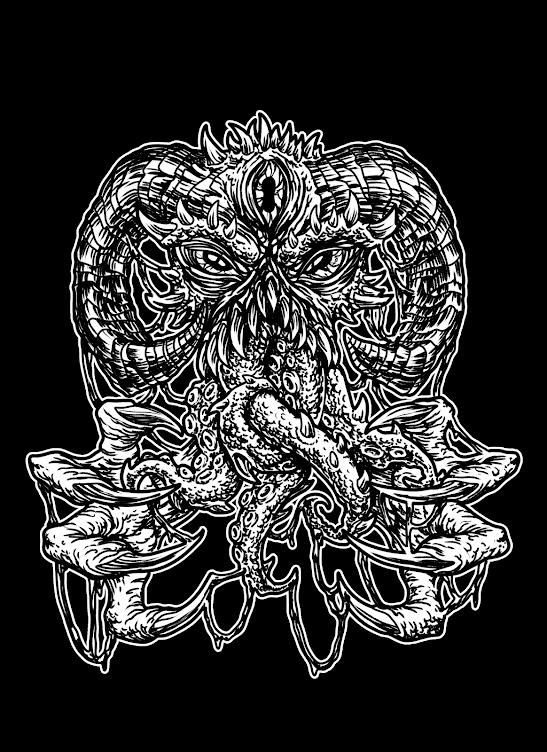 The only let-up in these tracks is extended periods of cleansing drone. Chords are left to ring out and let waves of hypnotic feedback wash over the listener, offering some respite from the preceding drudgery. These sections hint that Christworm may want to visit weirder places when they can spread their sonic vision over a full album. “Suffer No More” is a promising release from Christworm. Hopefully it won’t be long before they return to unleash an LP of irresistible misery.